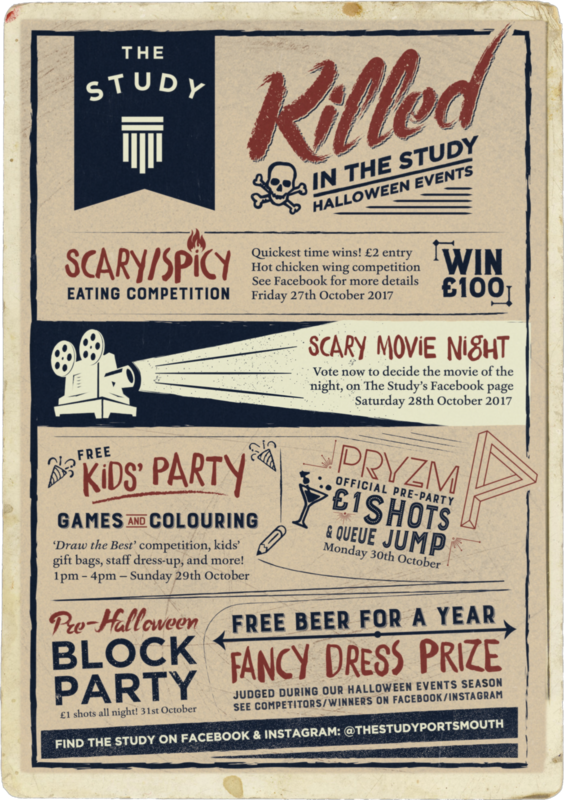 In October 2017, bar/restaurant/music venue The Study Portsmouth approached us at Team Locals for a Halloween events poster. The project begged for a destroyed/aged/forgotten look. Lists of dates are cool, but they’re not as cool as lil visual blocks for each event, cleverly tied together with relevant graphics. One separator is burned by fire — another vanished entirely, and had to be penciled back in. The inverted colors/negative space of the movie night block is real neat.